According to Javelin Strategy & Research, account takeover fraud increased by two million new fraud victims from 2015 to 2016. That represents a 16 percent jump in new fraud cases of that kind in just one year. The problem isn’t getting better. As the alternative lending landscape grows with increased technological advancements, and the number of lenders using alternative credit data and alternative lending practices increases, so too do the number of attempted frauds. Experian’s Clarity Services is an alternative credit data provider with solutions designed to decrease default rates and flag potential fraud before it happens. Online lending fraud can take on any number of different characteristics, many of them quite sophisticated. But there are three general categories of lending fraud that online lenders should concern themselves with. First-party fraud is when borrowers use some sort of deception to trick a lender into believing they are a good credit risk and get away with money they do not intend to pay back. Second-party fraud is a type of lending fraud in which the fraudster is a friend or trusted acquaintance of the party whose name is on the application. Third-party fraud, often called “identity theft” or “identity fraud” is when someone submits a fraudulent loan application in someone else’s name pretending to be that person. However, unlike second-party fraud, the perpetrator is unknown to the victim and probably acquired the victim’s identity illegally or in underhanded ways. Each type of fraud presents its particular challenges and should be fought in different ways. This article will focus on first- and third-party fraud. First-party fraudsters are difficult to detect because they apply for loans under their own names. In many cases, the clues that they do not intend to pay back a loan are very subtle and easy to miss. One popular type of first-party fraud is loan stacking. This is when the applicant submits multiple credit applications at different lenders on the same day hoping to be approved for several unsecured loans. They then accept the various loan offers available to them, take the cash, and never intend to pay it back. 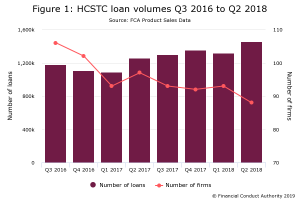 For online lenders, where credit standards are often lower than at banks and loans are approved much more quickly, it has become a real problem. Javelin Strategy & Research claims it costs lenders $340 million in annual losses. The good news about first-party fraud is that it can be detected using powerful predictive tools, which allow online lenders easy and quick alerts to inconsistencies, fabrications, and misrepresentations in loan applications. Third-party fraud is a little more subtle. In this case, another party is applying for a loan pretending to be someone else. They’re actually using real-life facts about the victim in order to deceive the lender into giving them money. It is really difficult to detect when fraud rings get their hands on stolen identity information that allows them to apply for multiple lines of credit at several lending institutions. Again, alternative finance lenders are often easy targets. Identity theft – Identity theft takes place when personal financial information is obtained illegally for the purpose of assuming that person’s identity. Information can be acquired in a number of ways including dumpster diving and sifting through trash bins looking for credit card bills and other account documents, hacking into databases or mobile phone apps where personal identity information is stored, or buying it on the black market. Account takeover fraud – An individual or fraud ring gains access to digital data, usually by hacking or phishing. Then they use credit information such as credit card numbers, bank accounts, etc. to access the victim’s money in those accounts. Information fabrication – This type of fraud relies on falsifying information about a party in such a way that it is believable. For instance, falsified pay stubs for a fictional job are often used to prove current employment. Synthetic identity fraud – This type of identity fraud now accounts for 85 percent of all identity fraud in the U.S. Fraudsters combine real identity information with falsified information about a supposed credit applicant in order to defraud the lender. Credit piggybacking – This sophisticated scheme involves a fraudster being added as an authorized user on a credit account in good standing in order to instantly increase the fraudster’s credit score and thus, the likelihood of a loan approval. Loan stacking – As mentioned previously, loan stacking occurs when an individual applies for multiple loans from different lenders. Third parties can wreak havoc on a victim’s credit file and get away with a lot of cash using this fraudulent scheme. Fraud can be quite sophisticated, targeting alternative lenders and, in many cases, the most unlikely victims. For instance, a loan stacking ring could obtain the credit information of subprime individuals, use credit piggybacking to boost their credit scores, and add some synthetic identity elements to bamboozle a small lender into approving someone who otherwise would never be approved for credit. Often, they get away with such schemes due to lack of detection and fraud prediction tools. Experian’s Clarity Services has designed solutions specifically to detect fraud before it happens using predictive variables to look at over 250 fraud-specific attributes. Clear Fraud Insight is designed to lower alternative lender default rates and detect potential fraud before a loan is approved. Some preliminary results have shown a 60 percent increase in acceptances while defaults remained constant, and alternatively, an 11 percent reduction in defaults as acceptance rate remained unchanged. Different lenders should expect different results. Nevertheless, isn’t it time to upgrade your risk assessment tools?